Buenas guapas! Hoy traigo otra colaboración, esta vez con la web eFoxcity.com donde podréis encontrar auténticas baraturas desde 3,99 dólares. Ropa para chica y chico, joyería e incluso vestidos de novia a precios de fábrica con muchas de las tendencias de este 2013. Hay vestidos de cocktail súper baratos y ropa de chico con muchos descuentos. 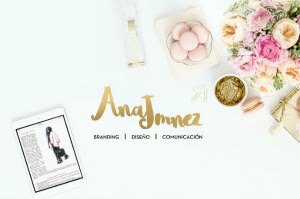 Yo ya me he pillado varias cosillas y pronto las podréis ver por el blog. Os animo a echarle un vistazo porque merece la pena. Os dejo algunas imágenes con cosillas que me han gustado. Muchos besos y mucho amor. Hi pretties! Today I bring another collaboration, this time with the web of chinese wholesaler eFoxcity.com. where you can find real cheap items from $ 3.99. Women and men clothing, jewelry and wedding dresses at factory prices with many of the trends of this year 2013. There're very cheap cocktail dresses and many discounts in Clothing for men. I've already caught several little things and soon you can see them on the blog. I encourage you to check it out this web because it's worth. I show you some photos of items I really love. Many kisses and many love. The Lovely and Sweety Jumper is adorable!!!! Anita me encanta la sudadera de popones rojos. join my galaxy leggings GIVEAWAY!